· When we cut the grass, we leave a strip untouched to allow the weeds that pollinators need, to grow. 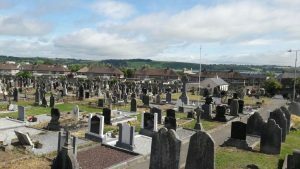 · There is a small section of land on Cork Hill that has been cleared and clover is being sown. 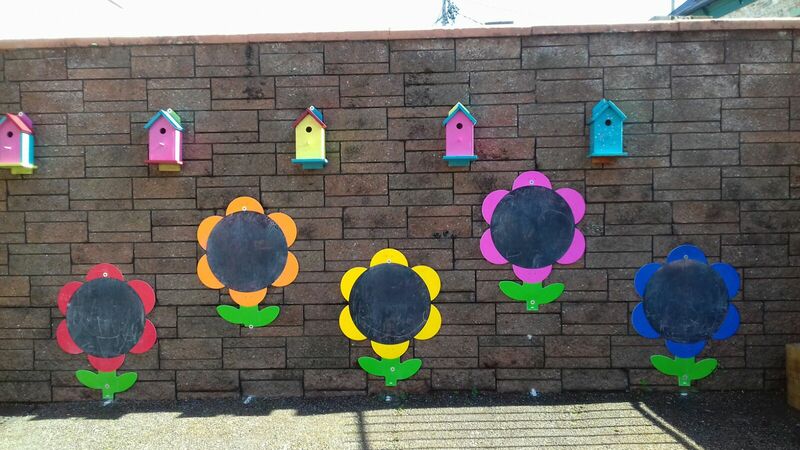 · Wildflower seeds are also being sown in a number of locations around Youghal to attract bees. · Signs will be erected detailing why some areas are left to grow wild in order to increase the number of bees. We will update with photos as these start growing. Below is the Recycling Chart which highlights what you are only allowed to put in your recycling bin, as presented to us by Mark Hosford from VOICE Ireland at our Recycling Workshop which he recently hosted. We have a Composting Workshop taking place on Thursday 10th May 2018 and a Recycling Workshop on Thursday 17th May 2018. These will be very informative and are free to attend. Everyone is welcome. Further details are below. 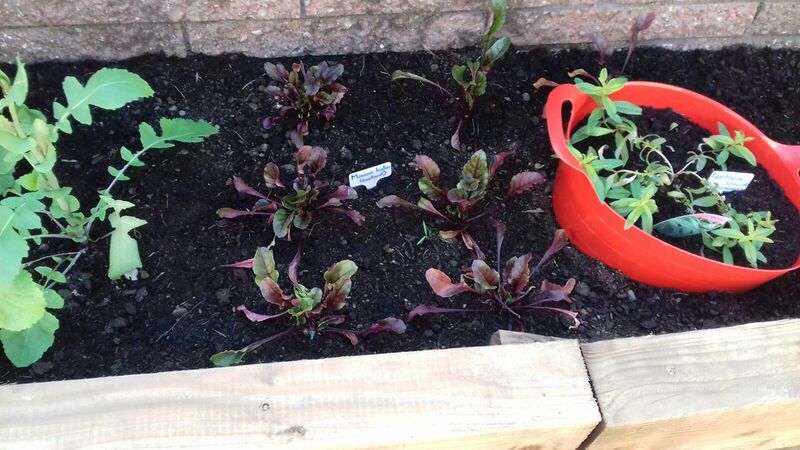 YTT is very much involved in helping children learn how to grow plants, flowers, herbs, etc. 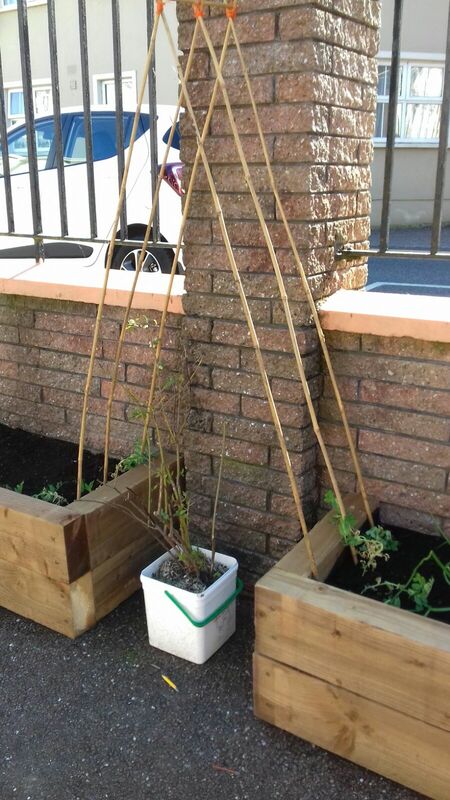 Below is a variety of such projects carried out by the children in the primary schools in Youghal. 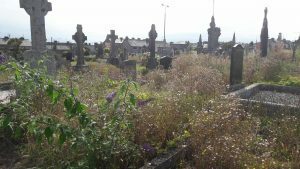 Abbey Cemetery was in a very poor state of maintenance and was completely overgrown with weeds and brambles. 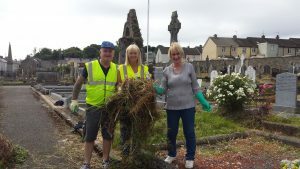 Youghal Tidy Towns was approached in early July 2017 by Margaret Carey to take on the project to clean and tidy the Cemetery. Ned Brennan, Chairman of YTT, worked with Margaret to recruit volunteers through Community Radio Youghal. 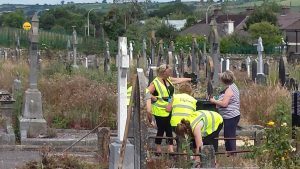 The recruitment was extremely successful, with over 60 volunteers helping out over a 3 week period to give the Cemetery a fantastic makeover. 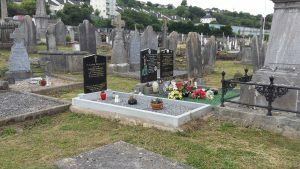 The Cemetery has now been completely transformed and is now a fitting place for our ancestors. 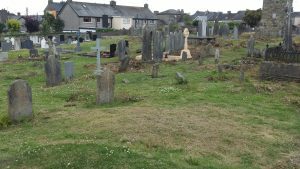 The Cemetery sub-committee will continue to meet the first Saturday of each month to continue the maintenance. 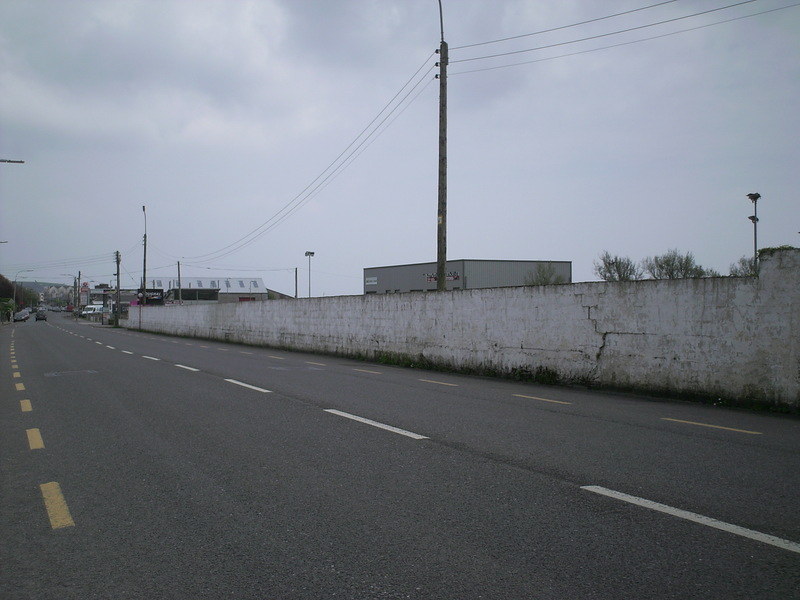 The wall of the outside greyhound track was painted last year which significantly improved the appearance along that stretch of road. 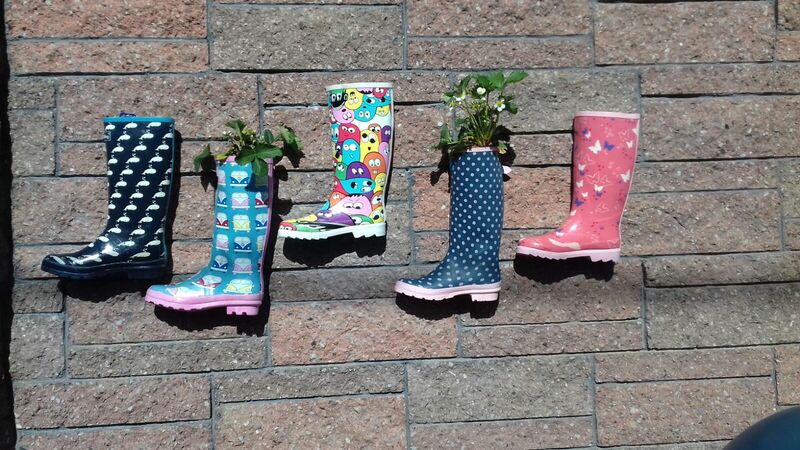 Climbing frames for plants were also installed and painted with anti-vandalism paint. We plan to continue to build on this great work and ensure the wall is regularly painted and maintained in good condition. Efforts are underway to make the Ballyvergan Bird Watching hide more accessible. Tidy towns are taking responsibility for the bird hide so that enthusiasts will be able to watch reed and marsh birds up close. 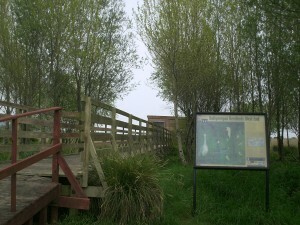 The Bird Watching hide is located on the R633, just outside Youghal. Take the turn for Ballymacoda and the Quality Hotel. 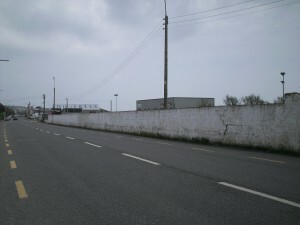 You will see the spot about 100m from the junction with the R634 (the old main road to Cork) on the left hand side. YTT members undertake the planting of tubs and flowerbeds in various locations in the town. Lighthouse hill is one such location and you may notice the tall black containers which are painted and planted by YTT annually. 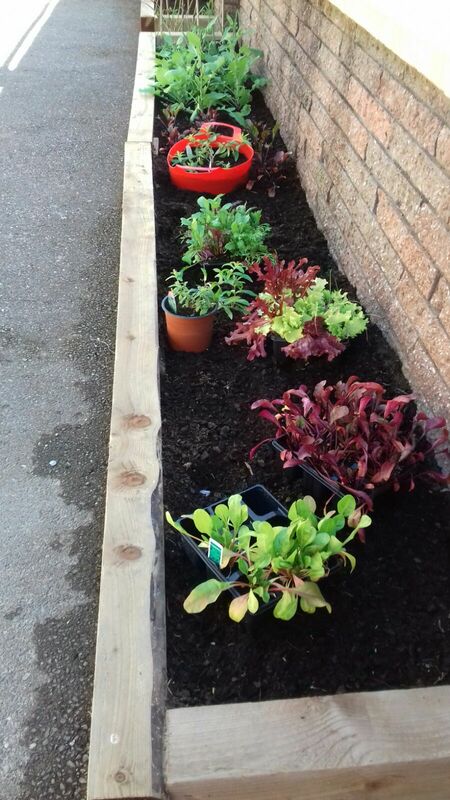 Unfortunately, we have had some trouble in recent years with plants being stolen and uprooted from their beds. A similar situation occurred at the roundabout just over Youghal bridge. A lot of effort and thought was put into plants for the roundabout last season but most of what was planted was taken by persons unknown. 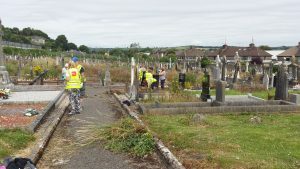 Although we do encounter such setbacks every year, YTT will continue to try and make the town a real contender in the nationwide Tidy Towns competition. A complete survey of wildlife was carried out by Pat Smiddy in 2013. 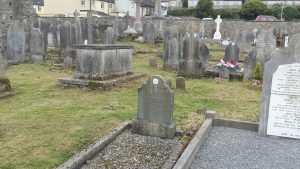 The survey gives an extensive insight into Youghal’s wildlife and what to look out for on the Wildlife walk. Click here to read the survey. The wildlife walk will begin at the Tourist Office in Market Square, proceeds along the Quays, along the Slob Bank, past the landfill to Foxhole. Then south along the main road (N25) pass the GAA grounds on Green Cloyne road and along Mill Road to end at the Quarry Road Park. This route takes the walker through a variety of different habitats from the urban of the town along the harbour front and the estuary via the slob bank with its associated drainage ditches and wet pasture fields. At high tide roost of estuarine birds can be viewed at Foxhole. While the walker passes by drains and semi permanent fresh water pools on their return along the main road while hedgerows and gardens coming into view at the end of Quarry Road Park is approached. Greenhome is an initiative by the EPA and an Taisce. “Green Home was developed as a framework to support and advise householders on ways to save money on their household bills while protecting the environment. The programme focuses on the themes of waste, energy, water and transport and extends the Green-Schools message beyond the school gates into the wider community. 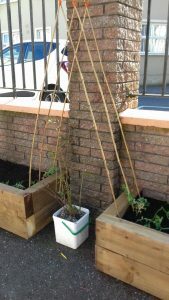 The Green Home programme can be undertaken by an individual householder or as part of a group”. (excerpt from the Greenhome.ie website). 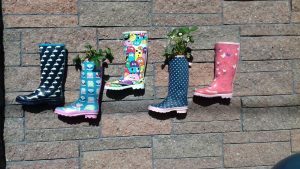 Youghal Tidy Towns fully supports the Greenhome initiative and would encourage householders to have a look at their website. Eco-Schools is operated by the Foundation for Environmental Education (FEE) whose main partners include the United Nations Environment Programme (UNEP) and the United Nations Educational, Scientific and Cultural Organization (UNESCO). Receiving the Green flag from the Green Schools Programme is not a one-off event. There are different categories of flags and participating schools are encouraged to attain a number of flags. 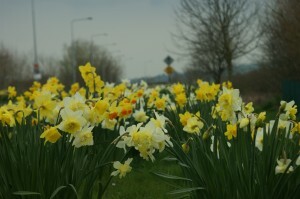 South Abbey Green Council. Members are elected by classmates and represent Junior Infants to Sixth Class. 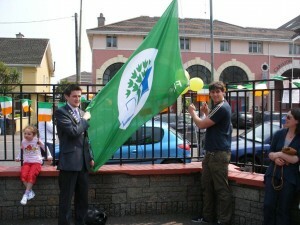 Three schools now participate in obtaining various Green Flags. 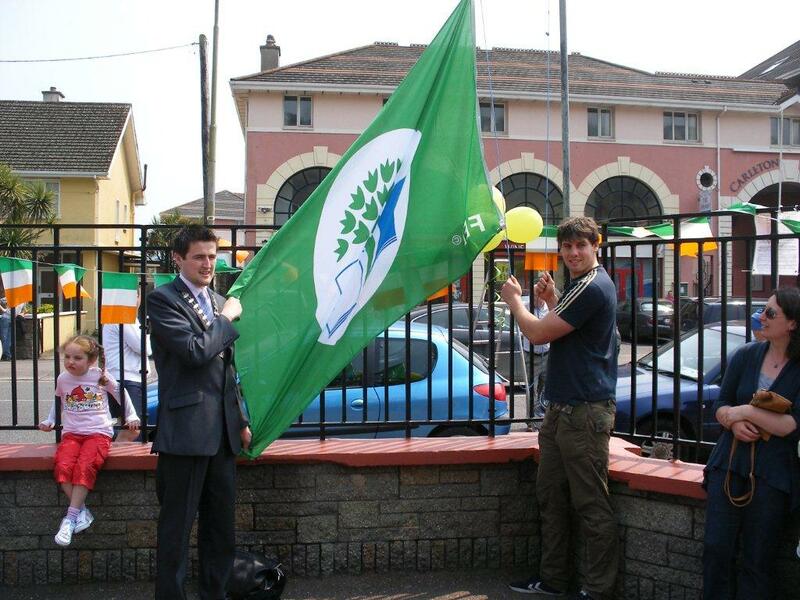 Gaelscoil Chorain, Bun Scoil Mhuire and South Abbey have all been awarded flags in different categories.